Kanacept is a flute quartet that performs a unique hybrid between classical and jazz. 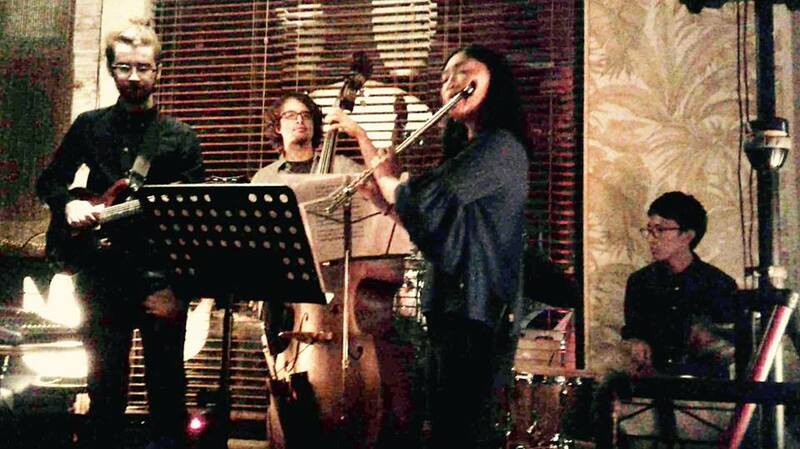 The ensemble features Kana Miyamoto on flute, Kieran McAuliffe on guitar, Sammy Weissberg on bass, Yosuke Nagayama on drums. Our repertoire includes original compositions and arrangement of jazz standards and Bach music. Kanacept has released first album ‘‘Spring Doze’ in 2017 which has reviewed from Jazz Magazines ad web magazines. 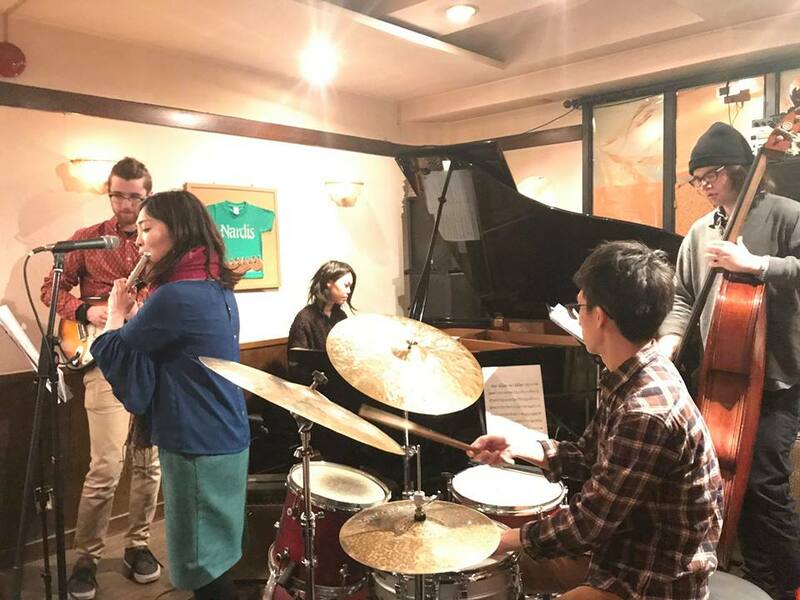 In 2015 Kana Miyamoto, Sammy Weissberg, and Kieran McAuliffe came together as a band that exclusively rehearsed, working on contrapuntal improvisation for flute, bass, and guitar. Over the course of the next year, Kanacept began to evolve into something more as they incorporated everything from Baroque to modern classical music. With everything and everyone in place, Kanacept wrote and recorded at Faraway Sound in Brooklyn in 2017. 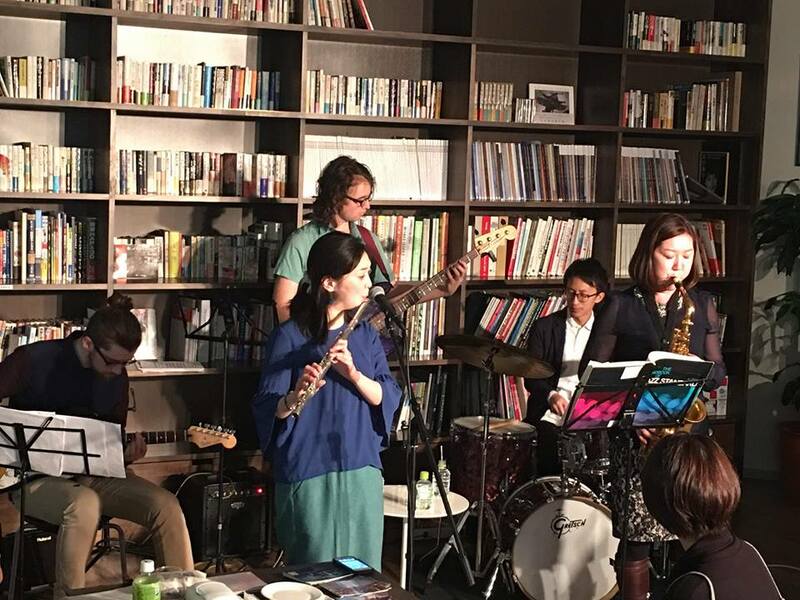 Leading on the flute, Kana Miyamoto is from Japan as classical and jazz flute player, she was awarded the “Up-and-Coming Artist Overseas Training System” grant by the Agency for Cultural Affairs in 2002 when she was in Japan. Drummer Yosuke Nagayama is also from Japan and performed for NHK radio “Session 2016,” NHK TV “El Mundo” Sumida Jazz Festival. Then there’s guitarist Kieran McAuliffe who was selected to lead a band at the Bern Jazz Festival in 2017. They did a Japan tour in2018 and went 6 places to perform. Kana Miyamoto makes an auspicious debut recording exhibiting both a gorgeous tone on the flute and a very personal approach to synthesizing classical, jazz and rock influences in her compositions and improvising. Definitely worth checking out!